Why did Jesus speak and teach in parables? 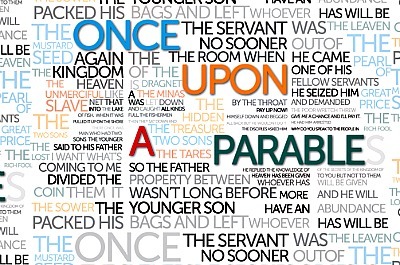 And what in the world is a parable? A parable is an earthly story that teaches a heavenly truth. The word para means: to lay along side. A parable is an earthly story laid alongside a heavenly truth so Christians can understand what God is teaching us. For unbelievers who reject Jesus, parables are also part of the judgment of God, in the gospels for example, parables are the judgment of God on rebellious unbelieving Jews. In Matthew 13, we are at the end of the second year of the earthly ministry of Jesus. For almost two years the Jews have been opposing Jesus and rejecting His teaching. They even tried to kill Jesus, John 7:1, 19. For those first two years of public ministry, Jesus did not teach in parables. Yet now, at the end of His second year of public ministry, He begins to teach in parables so that Jews who rejected Him as their Messiah and rejected His teaching and tried to kill him, would not understand. That is God's judgment on their rebellion and unbelief. Are we really interested in believing God's truth in the Bible? Is our heart honest and open to receiving the truth of God? Do you obey your God-given conscience? If God shows us truth, do we respond honestly and obey what God teaches us? Jeremiah 5:19-23 gives us the background on this issue. Jeremiah in the Old Testament was preaching to unbelieving Israel. Jesus in the New Testament was also preaching to unbelieving Israel. They had a rebellious truth rejecting heart and God dealt with them according to their unbelief. They rejected God's truth instead of believing what God said. Who is to blame for their rejection of God's truth? They had free will therefore they are responsible for their decisions. Many people are rebellious and also religious. They are not interested in God's truth in the Bible yet they embrace false teaching outside the Bible. They have been presented with God's truth many times and have rejected it. They embrace strange beliefs contrary to the Bible while refusing to believe what Jesus said in the Bible. Jesus is God and He knows all things including our heart and our motives. Understanding God's truth is only possible when we approach God and the Bible with an honest heart, open to receiving God's truth. When we approach the Bible with a rebellious heart of unbelief, we make finding truth difficult and we cannot blame that on God. 1. Jesus expects us to have hearts open to His truth. The soil of our heart must be right in order to understand what Jesus taught. If we approach the Bible with a rebellious unbelieving heart, having already rejected the truth God showed us, God is not obligated to show us more truth, which He knows we will also reject. 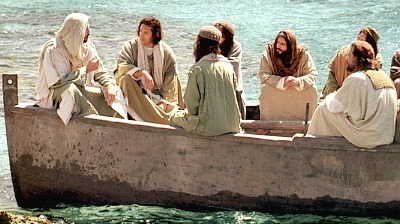 Jesus is saying that those who receive Him will be given more truth, more understanding, more knowledge. Those who reject Him will be given less. Their unbelief was their own fault. They had the same opportunity to believe as anyone else. They willingly, knowingly, intentionally rejected the truth of God and when someone does that, the consequences are on them. Jesus tells us, Their ears heard My truth and their eyes saw My truth and their minds or heart had my truth but they rejected it, therefore they are willfully deaf, willfully blind, willfully ignorant. They had spiritual heart trouble - they were spiritually deaf and spiritually blind because they were willing to believe anything but what God said in the Bible. Truth is available to everyone willing to receive it but God does not overrule our will and save us against our will. God will not force us to believe what He says in the Bible. a. Do you have spiritual ears willing to hear God's truth? b. Do you have spiritual eyes willing to read God's truth? c. Do you have a spiritual heart willing to obey God's truth? 2. Jesus spoke in parables to fulfill prophesy. God withholds truth from some people because they rejected the truth He already showed them. Do you want God to show you His truth? Open your heart to His truth. Receive God's truth in the Bible with a believing heart. The remedy is to stop rebelling against God. Stop rejecting God's truth and instead, embrace it as God's truth. That takes an act of your will just like unbelief and rebellion are acts of our will. Are you willing to believe God? 3. Want to understand the Bible? Read it with a believing heart. Ask God to show you His truth and be ready for Him to do just that.